Not every angler has sufficient financial capabilities to purchase separately sounders for winter and summer fishing. But what to do if you want to use the innovations of modern technology all year round? In this case, you should pay attention to the universal echo sounder for winter and summer fishing, which will not depend on the time of year and to fish not only from the boat or shore, but also off the ice. Have sensors with multiple rays. This will allow you to see on screen everything that’s going on under the water in great detail. Sounders must be equipped with large and high-quality screen, preferably in 3D, which is important in finding fish, which easily can be confused with a sunken snag or bunch of seaweed, if the image on the screen will be poor quality and blurred. It is desirable that the universal sounder was compatible with major electronic devices — tablets, smartphones, navigation devices, computers and so on. Sounder — a thing not only useful, but also expensive. Therefore, it would be a shame if it will fall and crumble into small pieces. Best of all, if his body will be shockproof and water resistant. Not be amiss, if the universal sonar has a number of useful functions that can be useful when fishing at night. Power is especially important for sonar winter. Because they have to penetrate the thick layer of ice underfoot. Universal sonar should be compact. In the winter it’s hard to carry a big machine that weighs a lot. The ability to tolerate low temperature. Sometimes in fishing, you can sit for the whole day. In this case, it would be better if versatile sounder has a good power source and discharged at the most inopportune moment. Not every lover of fishing has a good knowledge in modern technology. For this reason, menu, echo sounder should be clear and simple. Not the last role type sonar. Find fish will be much easier if the sounder provides warning system. With its help, you can always be aware of what is happening at the moment under the boat or under thick and opaque ice. Made of water-resistant plastic model sonar much better than their metal counterparts. After all, to keep in the frost the iron device in hand is not always pleasant. Of course, all the above is good, but not the last role in the selection of universal sounder played and the price of the device. The ideal is to buy a quality model for a low amount. One of the best budget models universal sonar today. Dual-beam sensor allows you to monitor everything that’s going on under the water. Black and white LSD screen with a resolution of 240х160 pixel has 16 shades of gray. This monitor displays a clear image of the bottom relief, it is clear the Parking lot of fish and various underwater obstacles. The sounder is able to scan depths up to 240 meters. Its average power is 200 W, and a maximum of 1600 watts. Bottom Black View displays an image of the seabed in the form of a black band. after a power outage lose the settings. This versatile wireless sonar for winter and summer fishing proved itself perfectly for use in both fresh and salt water. As a result, it is perfect for those anglers who are accustomed to vast open sea, and for those who catches on relatively small ponds. The sensor from the monitor sounder can be located at a distance of 100 metres. 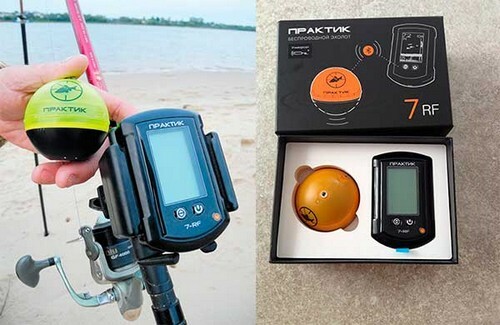 Equipped with a warning system which is triggered not only when finding fish, but also warns of the approach of the shoals, allowing you to avoid unpleasant incidents while fishing. Despite the fact that the device has only one beam, but the angle is 90. Includes transducer, made in the form of float. 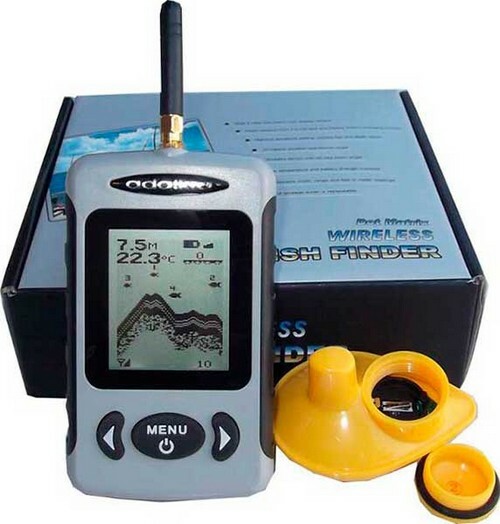 Stated scan depth is 40 m. the Combination of price and quality makes this Fishfinder is a truly worthy model, which we can safely recommend to anyone who is looking for not very fancy, but steadily working the sonar. determines the size of the fish. plastic “ears” mount to the float can break when casting. One of the best representatives of the Russian line of modern fishing sonars on the market. The domestic wireless sonar is particularly popular among fishing lovers, as it is specially designed for our waters and weather conditions. It will become an indispensable companion of the fisherman both winter and summer. When using sonar in the winter, this is connected to the sensor via cable. One of the most important benefits of Practices 7 RF Universal is a lightweight shock resistant casing, having a good buoyancy. A little surprised at the high price of sonar, released in Russia, but quality and reliability is still worth the money that he will have to pay. the presence of the chime. When choosing the right universal sonar every angler repelled by their tastes and desires, but still some basic settings to try to stick to all fishing enthusiasts. The size and weight. The smaller and lighter a device is, the easier it is to carry from place to place. The resolution of the screen. The better the image quality, the easier it is to understand what is happening on the bottom. If the choice fell on the sonar with a black and white screen, it should have a wide range of gray shades. 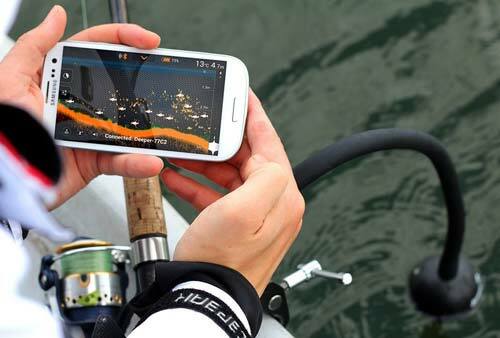 Navigator and the built-in map would help immensely while fishing in remote places. Sensor with float, with which the device is capable to take a horizontal position in the water. Preferably universal sonar not to use when severe frosts — some elements may fail. Nevertheless, if such a need exists, it is best to keep the device under your jacket and do not leave outdoors.